Cooking Courses | La Rosilla - Lifestyle and food. Explore rural inland Axarquia, Andalucia just a short distance from the dramatic city of Malaga. Enjoying and exploring Andalucian cuisine is a fundamental part of any holiday in this beautiful part of the world, but within Andalucia itself, the dishes prepared are as diverse as the scenery. From the freshest fish in the coast, to hearty homemade country dishes of the inland countryside, with homemade recipes passed down from generation to generation. Rustic, homemade dishes, using home grown, cured ingredients is one of the delights of Inland Axarquia. 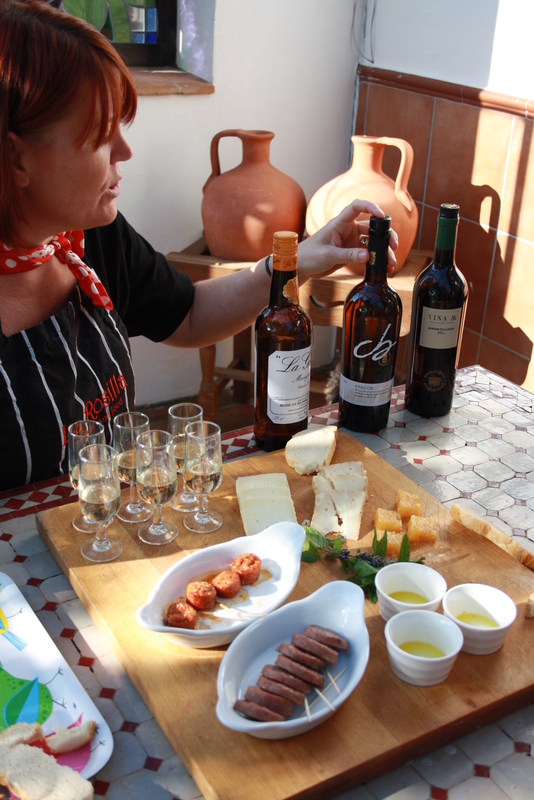 Home to rich Embutidos (Cured Meats), Honey, goats cheeses and meat, Olive oil, Almonds & dried fruits to name a few. Let me be your guide in this natural traditional area, this is real Spain. Allow me to show you some fabulous local dishes, let’s prepare together, and eat together. My Cooking Courses are tailored made to suit individual requirements. Full itineraries can be prepared, along with the most fabulous Boutique accommodation. Traditional Hill-Top Town of Comares. Degustacion in the Coastal Town of Torre del Mar. Morcilla, chick pea & Sultana in sherry. Berenjenas ( Aubergines )with Cana Miel. Options are endless, let me create the perfect day, few days or extended holiday for you. BLOG ARTICLES ABOUT OUR COOKING COURSES. READ : Our fabulous TripAdvisor reviews here. Pingback: To have time … | La Rosilla - Lifestyle and food. Pingback: Malaga a must see ! | La Rosilla - Lifestyle and food.